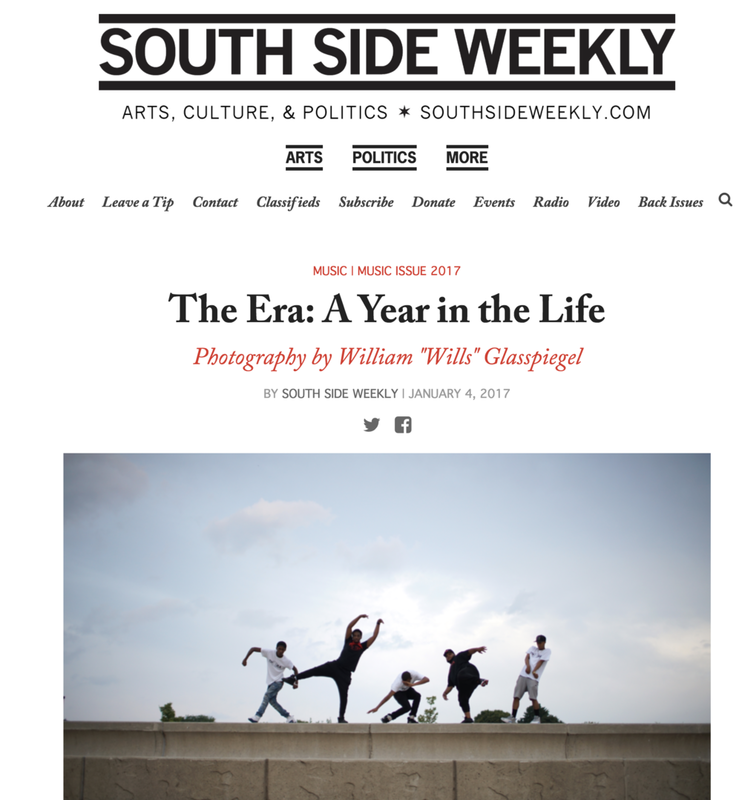 Footwork is a style of African American dance and music with 30 years of cultural history in Chicago. 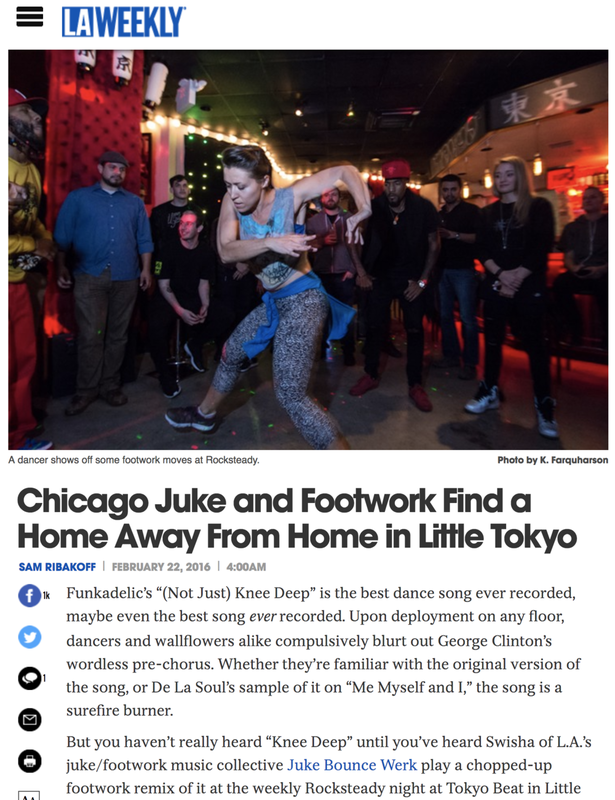 Footwork dancing started on the west side of Chicago in the 1980s to the sounds of house music. 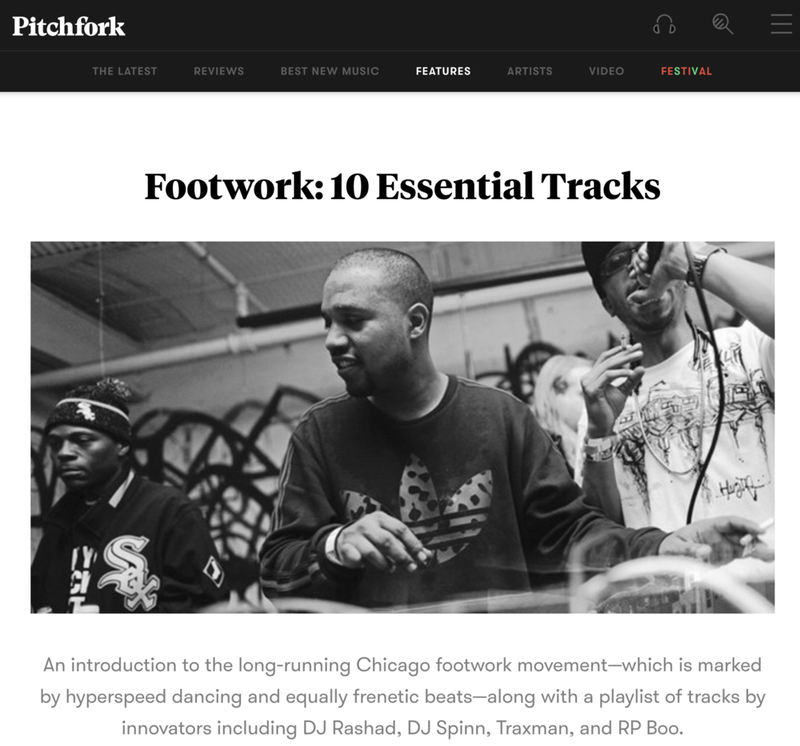 In the late 90s, footwork dancing inspired the creation of footwork music, a new take on house music made specifically for dance battles. 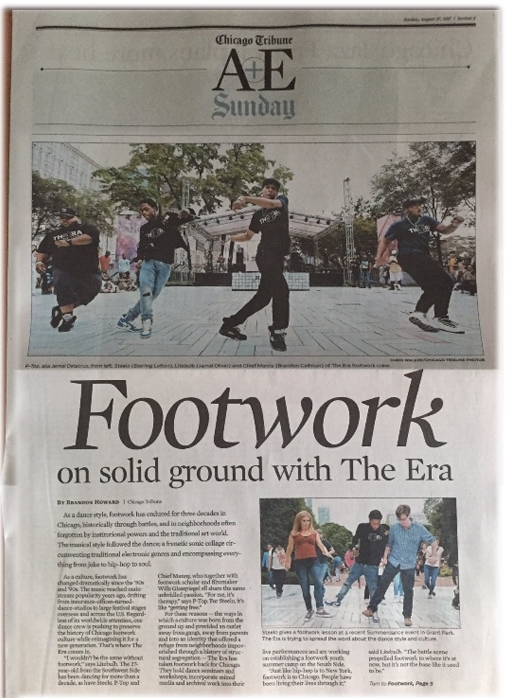 Footwork music and dance are now popular from Poland to Japan. Towkio feat. Chance the Rapper and The ERA - "Clean Up"